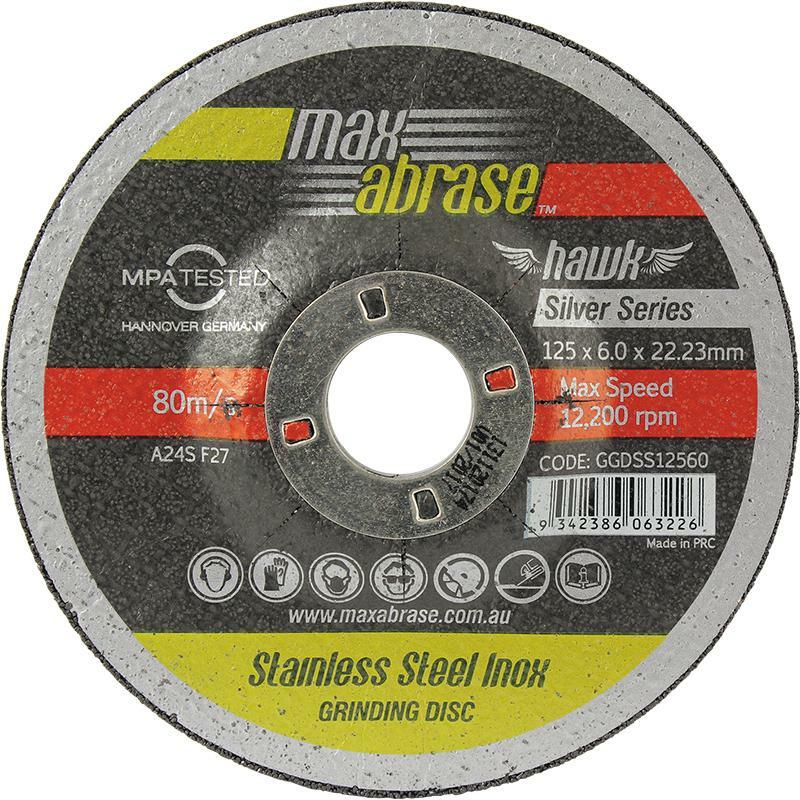 Silver Series grinding discs, for faster stock removal. Depressed centre, suitable for all general purpose grinding. Well balanced and long lasting.